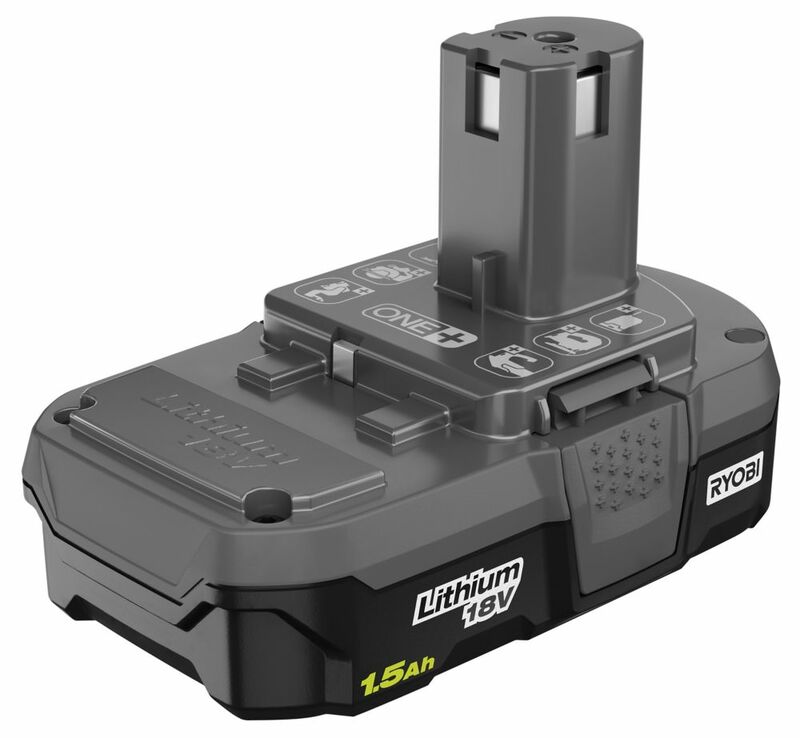 Ryobi introduces the 18-Volt 1.5Ah LITHIUM+ battery. This battery features superior electronics and performance to allow you to work stronger and longer with all 18-Volt ONE+ tools. This battery delivers superior runtime, power and performance when paired with Ryobi Brushless tools. It has a durably constructed frame for impact protection and has an on-board fuel gauge so you can easily check your charge at any time. This battery can be paired with over 100 tools from Ryobi's 18-Volt ONE+ lineup. 18V Max Litheon batteries offer unmatched battery runtime and a 400 % longer lifetime than traditional lithium-ion batteries. In fact, two battery packs should allow you to perform primary applications without downtime. Litheon batteries are the most advanced lithium-ion batteries available today. They allow more battery charges and provide longer runtime without memory effect meaning the batteries do not need to be empty before charging. The batteries can also be taken out of the charger before charging is complete. Other benefits include: significantly less self-discharge; electronic cell protection that guards against overheating, overload, and deep discharge; and no loss of power from the first to last screw or hole. Best of all, these batteries will fully charge in 30-minutes and will be at 85% capacity in just 15 minutes. 18V ONE+ 1.5 Ah Lithium-Ion Compact Battery Ryobi introduces the 18-Volt 1.5Ah LITHIUM+ battery. This battery features superior electronics and performance to allow you to work stronger and longer with all 18-Volt ONE+ tools. This battery delivers superior runtime, power and performance when paired with Ryobi Brushless tools. It has a durably constructed frame for impact protection and has an on-board fuel gauge so you can easily check your charge at any time. This battery can be paired with over 100 tools from Ryobi's 18-Volt ONE+ lineup. 18V ONE+ 1.5 Ah Lithium-Ion Compact Battery is rated 3.9 out of 5 by 80. Rated 4 out of 5 by Mary from Battery worked great.... Battery worked great. Rated 5 out of 5 by DonaldH from A direct replacement for an original Ryobi OEM battery. A direct replacement for an original Ryobi OEM battery.